Spool of Z-HIPS for the Zortrax 3D printer. Z-HIPS filament is a thermoplastic polymer with a high impact strength. Compatible with the Zortrax M200. Comes in an 800g spool. 38,40 € Tax incl. 32,00 € Tax excl. Spool of Z-HIPS for the Zortrax 3D printer. Z-HIPS is a thermoplastic polymer with a high impact resistance. It is used in particular for designing casings for different types of equipment, starting with electronic equipment boxes, or industrial machine housings not necessarily limited by UV resistance. Z-HIPS also has very good post-treatment properties such as gluing, painting, smoothing and sanding. Z-HIPS print settings are automatically managed via the Z-Suite software to provide excellent aesthetics and good mechanical properties. Z-HIPS is available in a wide range of colours at the best price for you to purchase. 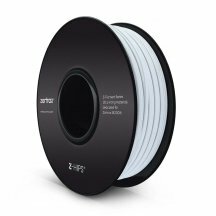 Zortrax HIPS spools are optimised for M200 printers only, and are produced directly by the manufacturer. Spool of Z-ABS for the Zortrax 3D printer. 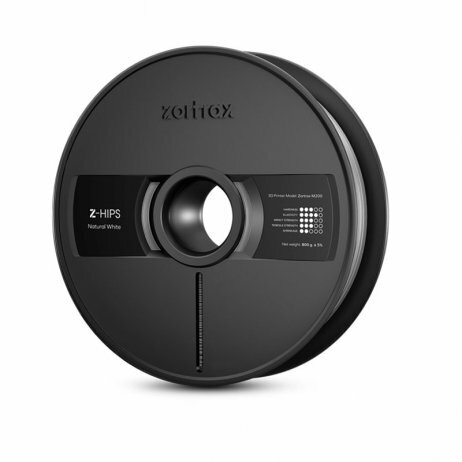 Durability, flexibility, suitability for prototyping of mechanical parts and ready-to-use models, this Zortrax ABS spool lets you bring all your projects to fruition. Comes in an 800g spool.